This garden twine in green or natural is a roll of 200 ft of 2-ply soft garden twine. 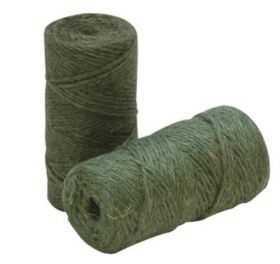 Jute Twine is made from natural fiber and is biodegradable. Can be used for countless jobs around the garden. This excellent quality twine is strong, but it won't cut or harm plants.